Emergency Tooth Pain Center – Donald Joseph Jirovec, DDS is one of the most well-known dental clinics/dentist in Overland Park, Kansas City that offers emergency services 24 hours/day, 7 days/week. We are listing the full contact details (address, phone number, e-mail) for the emergency dentist Emergency Tooth Pain Center – Donald Joseph Jirovec, DDS in the city of Kansas City. Schedule an appointment with Emergency Tooth Pain Center – Donald Joseph Jirovec, DDS and get your teeth fixed right away! The dentist’s zip code is 66208. 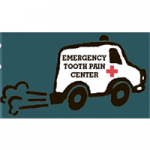 Find the fastest way to Emergency Tooth Pain Center – Donald Joseph Jirovec, DDS by using this link.